U.S. Rep. Adam Schiff, unwilling to give up on disproven claims that Donald Trump colluded with Russia during the 2016 campaign, even though FBI special counsel Robert Mueller said, after a two-year investigation, there wasn’t any evidence, has launched a new front against the president. CourthouseNews said that Trump previously had confirmed he would consider that action crossing a “red line” into unacceptable behavior. Schiff, of the House Intelligence Committee, long has worked to vilify the president, charging that evidence was ample about the Russia collusion, even though Mueller couldn’t find it. “House Financial Services Committee Chairwoman Maxine Waters, a fellow Congress member from California, launched a parallel bid investigating ‘the potential use of the U.S. financial system for illicit purposes,'” the report said. The members of Congress may be using as a foundation for their investigation the statements of Michael Cohen, who formerly worked for the president and was convicted of lying. 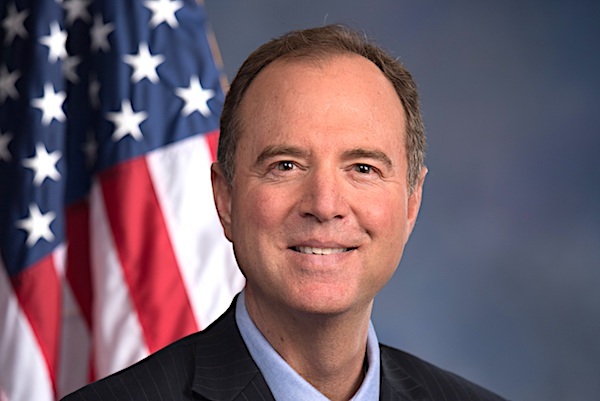 The post Schiff launches next front in war against Trump appeared first on WND.